Seven members of the crew and three passengers were taken to Jamaica Hospital in Queens after suffering from flu-like symptoms, the New York Post reported. NYC Mayor Bill de Blasio's office confirmed that the passengers had been quarantined. One passenger posted a photo showing more roughly a dozen emergency response vehicles waiting on the runway. 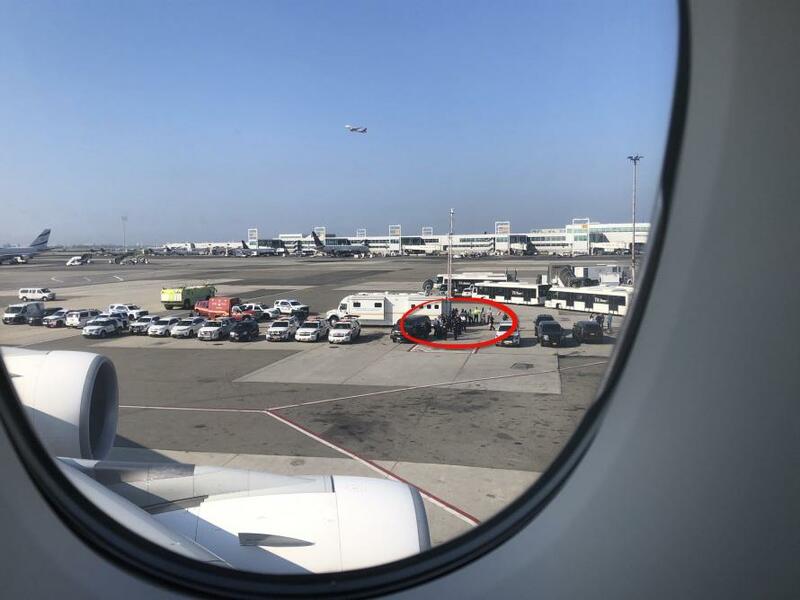 The passenger, Larry Coben, said passengers were warned that some people on the flight had become sick, but he said he hadn't seen any sick passengers. However, he noted that the plane contained two levels of seats. Reports of the mysterious illness surfaced after a flight from New York to Florida earlier this year had to be diverted after passengers reported burning throats after being exposed to an unknown substance that reportedly smelled like "dirty socks." 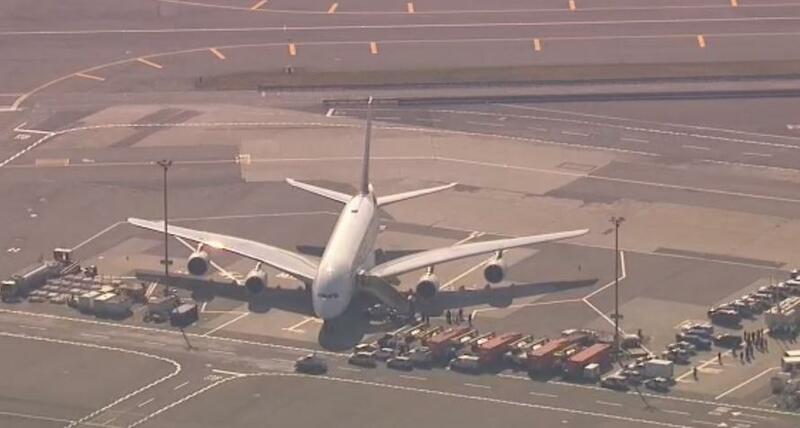 The plane, and its passengers, have been taken to a staging area in NYC where they await further inspection.